It’s only been two weeks since 420, but there is another reason to take your love of cannabis to the streets, as this weekend sees the 2017 Global Marijuana March taking place. 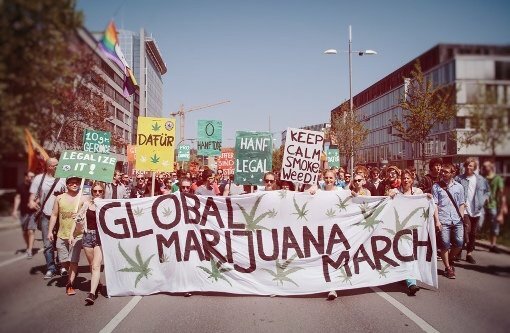 Not that you need a reason to show your love of weed, but this weekend is definitely one, as the 2017 Global Marijuana March is taking place around the world. The 2017 Global Marijuana March AKA the GMM – or, in some places, the Million Marijuana March – is a protest that is aimed to end cannabis prohibition. Given the “global” in the title, it’s not just in the United States, either. From North America to Latin America and even the South Pacific, hundreds of thousands of people are expected to march, uniting to celebrate the culture and bring an end to the aforementioned prohibition. Below are just some of the place where you can join the march and the movement, but be sure to click through and see if there is a march happening near you. The NYC Cannabis Parade is the longest running public expression of drug policy reform in New York City, with roots as far back as the early Seventies. This event have gone by many different monikers, but our purpose remains the same, to spread awareness throughout the world! In 1999, the Million Marijuana March brand exploded and has since turned into a annual event held in hundreds of cities across dozens of countries. Find out more about New York City. We will be gathering on the SW corner of Adams & Crenshaw. From there, we march south on Crenshaw until we arrive at Leimert Park. You are cordially invited to march along with the people or deck out your automobile in a Cannabis Hemp theme and join us in that way. This is a community event, children and friendly four-legged friends (on a leash) are encouraged to attend. Bring signs. Once we get to the park, we will gather there and continue to celebrate this most wonderful plant. Find out more about Los Angeles. The Toronto chapter has participated in the March from the beginning and is expected to once again organize the largest march in the Canada. 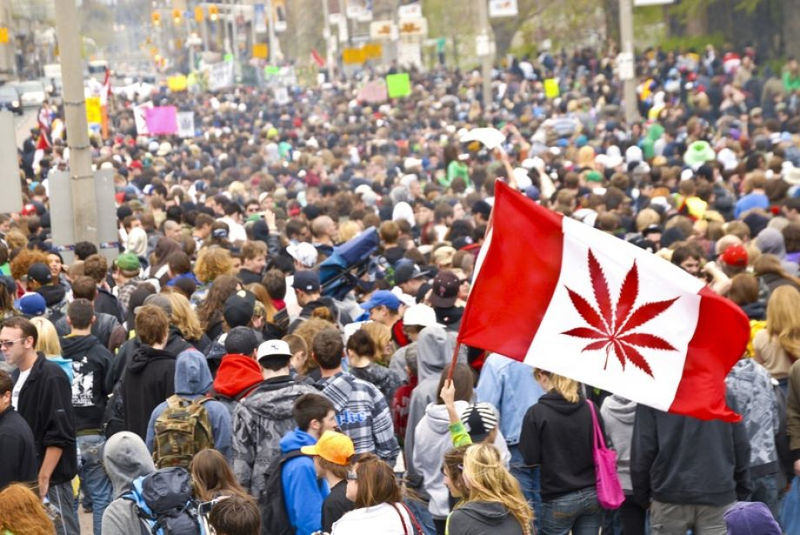 With over 20,000 marchers in Toronto, and and with impending Canadian legalization the atmosphere around G.M.M this year is sure to be lively. The march will travel north from Queens Park to Bloor, east to Yonge street, Yonge to Wellesley and west back to Queens Park. Unfortunately there will be no festival components such as washrooms, staging or legal vendors at Queen’s Park as no permit has been granted by the City. A ticketed pop-up event will happen after the march with an entertainment and vendors village at a location to be announced at the march. The peaceful celebration has never had an arrest in the event’s 19-year history. The GMM is the city’s largest spring outdoor gatherings generating millions of dollars to the local economy. Find out more about Toronto. Come experience voluntary association and transaction, peaceful civil disobedience, culture, and community at the Cannabis Farmer’s Market. We will have a farmers market and at 4:20 after we smoke we will march around the art gallery for an hour, then back to the market. The licensed producers (LPs) want a monopoly on selling cannabis in Canada. The Liberal government is eager to cooperate, by setting harsh punishments for anybody who grows or uses cannabis outside this regime. To ensure this does not become a reality, a free, fair, and open market has arisen organically here in the Vancouver area. There is no better model for access to cannabis than the Farmer’s Market. Come to the source and talk to the farmers and extractors directly and learn how it was grown and processed. By coming together as a grassroots community at a cannabis farmers market, we can help keep the market free and competitive. March and protest down Stephan Avenue. There will be speeches, 50/50 raffle and other prizes. Find out more about Calgary. We have something special planned for this year. We asked special permission for the local government to do a fair in the center of the city to give information about forbidden plants, sell eco-friendly products and a stage for local artists to play during the 5th and 6th of May. Find out more about La Paz, Bolivia. On May 6, we will once again occupy the streets of São Paulo for the legalization of marijuana and the end of the drug war. Diversity is our hallmark and we will gather from all over the city to say: No more war! Respect our rights! It will be beautiful! Find out more about São Paulo, Brazil. Rally with speeches, debates and assemblies alternating with music. The city of Mexico City is lending sound equipment. 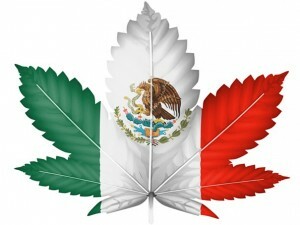 At 6pm, we march to the Senate for the liberation of the marijuana in Mexico. Find out more about Mexico City. Sometimes it can be good to detox, and sometimes you have no choice because you really want that job you applied for and you know you’re going to be drug tested. Using filters are a matter of preference for smokers, but there are benefits to using joint tips. Learn how to roll amazing joint filter tips, for the perfect joint. Okay, so you're home with a bag of weed, but you don't have a smoking piece. Well, luckily there are many ways to make homemade bongs and pipes. Check out this exploration video of Jamaican weed, and just how much you can score for as little as $20. If you’re having friends over and want to make special brownies, spacecakes, or similar, this quick and easy cannabutter recipe is what you need. Many of the best, brightest, and most motivated members of the modern workforce happen to enjoy cannabis in their off-time from employment - and that's OK! There's just one last step. Click the CONFIRM link in the email we just sent you. While each of us responds our own way, here are ten feelings you've probably experienced when you've been judged by non-smokers. We all need a reminder at times, about what is and is not acceptable in a dispensary. If you're a first time visitor, these tips will keep you in check. Check out this video as Joe Rogan, a humble comedian-actor-fighter-advocate, explains just how beneficial medical cannabis can be. You may have heard that you shouldn't be using a butane lighter. But, why? Here's how the solvent might affect your health. Do you love Star Wars? If you do, this list will help you prepare for May the Fourth, when all things Star Wars are celebrated.